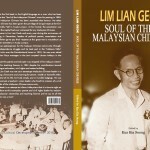 Lim Lian Geok was a teacher in Confucian Chinese school since 1935 until 1961. In 1945, he took charge of the rehabilitation of the school which was destroyed by the war. He was actively involved in the founding of the Chinese Teachers Association of Kuala Lumpur (KLCSTA) to fight for the welfare of the Chinese school teachers in the spirit of modern unionism. Barnes Report of Education 1951 which proposed to abolish Chinese and Tamil schools had caused strong revolt from Chinese and Indian communities. 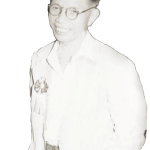 Lim Lian Geok, then the president of KLCSTA together with other Chinese educationists called a Pan-Malayan Chinese teachers meeting in August 1951 to oppose the Barnes Report. This had lead to formation of United Chinese Schools Teachers Association of Malaya (Jiao Zong, UCSTA, now UCSTAM). Lim and his associates attended a pre-election negotiation session, namely Malacca meeting, with the Alliance at the residence of Tan Cheng Lock on 12 Jan 1955. Lim compromised by promising not to raise the official language issue before the election in exchange for a verbal guarantee from Tunku Abdul Rahman that the 1952 Education Ordinance as an implementation of Barnes Report would be abolished. It helped the Alliance scored a landslide victory by capturing 51 out of 52 seats in the general election. In return, the 1956 Razak Report incorporated all four existing streams of primary schools into the national education system. In 1985, he died of lung infection. The honour the Chinese community bestowed on him upon his death was to turn the Selangor Chinese Assembly Hall into the funeral parlour, the first time this has been done in its past 60 years of history. At his funeral, the procession was the largest the capital had ever witnessed for any Malaysian Chinese.